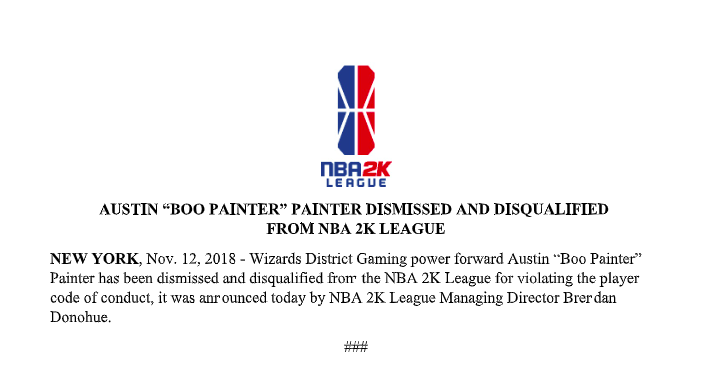 BREAKING: According to a press release from the NBA 2K League, Wizards DG’s Boo Painter has been dismissed and disqualified from the NBA 2K League for violating its code of conduct. In the inaugural season, Painter led the team in scoring with over 30 points per game. He led Wizards DG to the playoffs, earning an MVP nomination and winning the top play of the year.